The kitchen is the heart of the home. The best kitchens set the tone for the entire house, blending style and function to create a warm and inviting social hub. It is an essential, hardworking space, where every member of the house utilizes it on a regular basis, and because of this fact, it is important to design your kitchen to be welcoming and conducive to all the activities that occur in that space. From traditional zones for food preparation and storage, cooking and cleaning, to modern, open spaces for dining, entertaining and office/school workstations, homeowners demand more from today's kitchens. Dynan Construction has worked for clients with a wide variety of needs and desires for their new kitchens. Some clients are just beginning to consider the possibilities of remodeling but have no idea where to begin. They come to us with only a vision, wondering how much it would cost to renovate their current kitchen into the beautiful dream kitchen from a photo. Some come to us with only a budget in mind, wondering how best to apply that money towards kitchen upgrades. Some clients want to remodel to age in place and others want to remodel strictly for resale value. Then there are those who have already chosen all their fixtures and materials, but know the most important choice to make is hiring the builder who will make their vision a reality. These clients are eager to implement the designs and watch the blueprints come alive with the help of a skilled General Contractor. These clients are ready to sign a contract if we are available to do the work. It is our experience, from a construction management perspective, that the best kitchen remodeling projects have a lot to do with how reflective and prepared our clients are. They are well versed in kitchen design essentials like layouts, appliances, cabinetry, countertops, flooring, and lighting. They come to us with more than just goals for their kitchen space already in mind and an overall style that inspires them—they come to us with schematic drawings and specifications in hand (which have probably taken more time to produce than the actual construction will!) They are precise communicators and know how to make their selections timely. They have realistic expectations and prepare for the unforeseeable with contingency funds written into the budget. Best Pro-Tip Dynan Construction can offer? "Plan to plan" for at least 4-6 months prior to construction so you won't be tempted to change your mind during construction. Well-planned kitchen remodels tend to minimize on-site inconveniences, change orders, and construction delays. Most importantly, well planned projects are the ones more likely to stay on budget. And delivering a new kitchen on time and within budget makes it a positive experience for all involved. Since homeowners are spending more money on kitchen remodeling than on any other home improvement project, it is important that they hire professionals who can help keep them on budget, make smart choices, and maximize their return on investment. This is, without a doubt, a team effort. Pros are available to help you with everything from contracts and permits to space planning, budgets, choosing finishes and fixtures, shopping, ordering products, helping you set up a temporary kitchen, and managing your project from start to finish. Who do you need for your project? General Contractors are the "big picture" thinkers. They work with you (the homeowner), the architect, structural engineers, surveyors, permitting departments, and all the remodeling professionals so there is only one point of contact for all parts of the delivery process. Dynan Construction takes great pride in having developed close, trustworthy relationships with innovative architects, designers, and dedicated subcontractors throughout Sarasota. Close coordination amongst this team of professionals ultimately saves our clients time and lowers the overall costs. Our top services include cost estimating, budget maintenance, scope clarification, detailed scheduling, obtaining permits, quality construction, open communication and weekly meetings, specification and selection assistance, and a complete closeout and warranty process. Architects/Designers should be hired to help homeowners customize their kitchen to suit their needs and provide the construction drawings to the contractor. Designers learn as much about your lifestyle and goals for the renovation as possible. They can make recommendations for conveniences that you may never even have dreamed existed. The best kitchen designers plan for the most ergonomic and efficient use of space while reflecting your personal style and priorities. Dynan Construction works with dedicated design professionals and consultants that guide our clients through each step of the kitchen remodeling process—from initial concept, to material selections, to home installation. At Dynan Construction Management, our Design Consultant can meet with you and begin the discussion about layout, style, and selecting finishes and fixtures. This part of the process can be both enjoyable and surprisingly overwhelming, so we advise all homeowners to have some assistance to help narrow the choices within their budget, whether they use our in-house services or those of another specialist. Many DIYers think this is the fun part, shopping around and picking out the stunning visuals of the dream kitchen. It is exciting! But the role of our Design Consultant exceeds just making recommendations and pulling your style together. Purchase orders need to be prioritized based on lead times for materials, measurements and quantities need to be specified, delivery times need to be coordinated, and often (not always), there are deep savings passed onto the client for purchasing materials and fixtures through our construction trade accounts. Cabinetry construction type, doorstyle, finish and color: Dynan Construction is a Cabinetry supplier providing our clients value engineered, quality kitchen cabinets that are not only aesthetically pleasing and functional, but sustainable and affordable too. See door samples from both lines of the Traditional and Modern collections in our office showroom. Refrigerators and other appliances: Choosing and using your appliances wisely can help cut down on your bills and your carbon footprint. Learn about layouts and zones (The Triangle) and options within each appliance so you can maximize efficiency. Kitchen sink and faucet: Learn about basin configurations, sink shape, materials and even accessories and specialty sinks. Lighting: Consider natural light sources, task lighting, and ambient lighting. Determine where chandeliers, pendants, track and recessed lights work best. Backsplash: Install glass, tile or another decorative material for a gorgeous and protective backsplash. See beautiful samples and displays in our office showroom to get you started! Decorative hardware: Knobs, pulls, and latches come in a variety of shapes and finishes. Learn which hardware styles work best with your kitchen cabinet style. Let our in-house Design Consultant show you samples, browse catalogues, and help you decide what is best. And for a good place to start reading and learning about kitchen selections, check out this Houzz workbook. 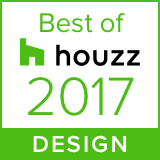 While you're there on Houzz, check out Dynan Construction's profile!